Benign paroxysmal positional vertigo (BPPV) or simply benign positional vertigo is a condition in which you feel as if you or everything around you is spinning. This common type of vertigo usually occurs when you move your head in a specific position. The condition is definitely bothersome but rarely serious, unless you are in a situation with higher chances of falls. There are certain treatment options available for you to fix the issue. Let's discuss more about it. What Happens During Benign Positional Vertigo? 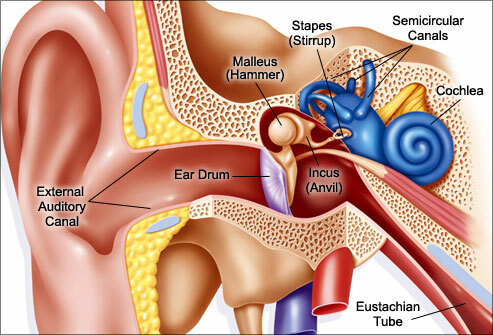 Benign positional vertigo is actually a mechanical problem in your inner ear. You develop this condition when the calcium carbonate crystals from the utricle accumulate into the fluid-filled semicircular canals. The buildup of these particles interferes with normal fluid movement, which is essential for sensing head motion, and this situation results in false signals being sent to the brain. Under normal circumstances, fluid in the semi-circular canal is not reactive to gravity but things change due to the buildup of crystals that move with gravity. This in turn moves the fluid, which under ideal circumstances stays still. 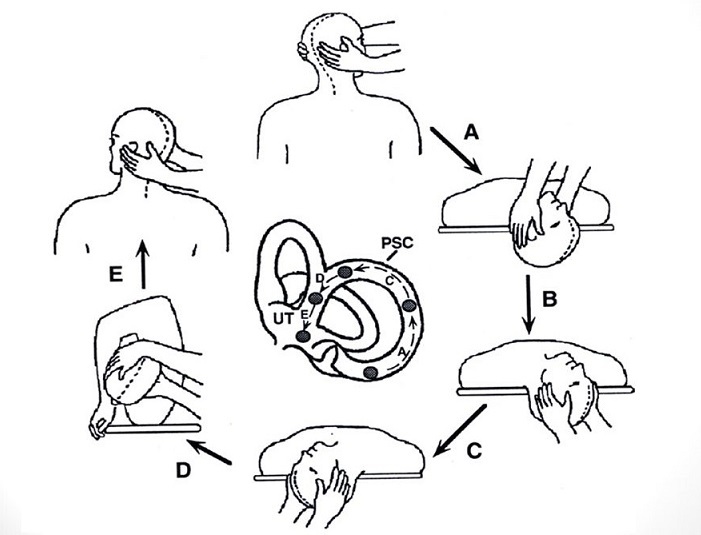 This movement stimulates nerve endings in the canal and your brain starts receiving signals that the head is moving. The problem is that the other ear does not sense the same movement and the same is the case with your muscles, joints, and eyes. This leads to a confusion and mismatched information being sent to the brain that causes vertigo or a spinning sensation. You may feel a mild sense of disequilibrium or imbalance between these vertigo spells. The most common symptoms of benign positional vertigo are dizziness, unsteadiness, vomiting, and nausea. You will also feel as if your surroundings are moving or spinning. Abnormal rhythmic eye movements may also accompany the symptoms of BPPV. These signs and symptoms may come and go, and last for a minute or so. It is possible to not experience any episode of BPPV for some time and then have a spell suddenly. Certain activities may also bring about the symptoms, but you generally experience the sensation when changing the position of your head. Some people feel out of balance when walking or standing. It is important to understand that some symptoms may not be directly associated with BPPV. For instance, you may experience dizziness but it will not happen constantly. It will cause fainting or affect your hearing. It is not associated with headaches or other neurological symptoms such as trouble speaking, pins and needles, numbness, etc. If you experience these symptoms and your dizziness is unaffected by movement, you should talk to your doctor because this usually indicates another serious issue. You should sit down if you feel dizzy to avoid an accident. You should bear in mind that imbalance can lead to falling, so take appropriate steps to avoid it. You should use good lighting to stay safe when getting up at night. Use a cane to maintain balance and reduce your risk of falling. Be sure to follow your doctor's advice to manage your symptoms in a better way. Help them sit in an upright position and then make them tilt their head at 45 degrees to the affected side. With your hands on either side of their head, help them lie down with the head dependent. Slowly rotate their head to the opposite side at a 90-degree angle – ensure their face is upward with the head being in the same position. Keep holding their head in the same position and then role them on to their side. Slowly rotate the head until it is facing downward. Now, help them sit up while maintain head rotation and then slowly rotate the head to the starting or central position. In case you have benign positional vertigo, you can improve your condition by performing modified Epley's maneuver at home. You have to use a pillow to support your shoulder and ensure that your head rests on the bed, not over the side of the bed. Maintain the supine position for 30 seconds and maintain the sitting positions for 1 minute. Perform three such cycles before going to sleep. You should try this procedure if you do not see much improvement after therapist-led procedures. People with frequent recurrence of vertigo should also try this technique at home for better results. You can try these exercises to disperse inner ear debris, which will help improve your condition. Sit on the side of your bed and rotate your head at a 45-degree angle to one side. Keep your eyes closed – this will help minimize vertigo. Lie down to your opposite side – it means you should lie on the left side if your head is turned to the right. Keep your nose up with lateral occiput on the bed. Sit up again after 30 seconds. Repeat the same by turning your head to the other side. Go for six repetitions per side in one session. Repeat the same procedure thrice a day for 48 hours. You should bear in mind that while repositioning maneuvers really help, they may also cause certain side effects such as fainting, vomiting, and intolerable vertigo. It may be difficult to perform these maneuvers on elderly people. Therefore, it is best to work with a healthcare provider to avoid serious complications. In some cases, the canalith repositioning procedure does not yield good results, and that is when your healthcare provider may recommend surgical alternatives. The procedure usually involves using a bone plug to block the specific portion of your inner ear that is responsible for causing dizziness. In other words, it helps keep your ear from responding to particle movements. The canal plugging surgery has a 90% success rate.